When it comes to employment, people with autism have unique skills and attributes, but often remain overlooked by employers. It can be difficult to know where to start when applying for a job. If you are a person with autism, the below tips can help you find and keep a job you love. In order to find meaningful and sustainable employment, it is important for people with autism to discover their strengths and talents. People with autism have unique skills that can benefit a range of industries. People with autism often demonstrate great attention to detail, high work standards and a strong work ethic. While these skills are a great attribute for any job, it is important for people with autism to find a job they enjoy, where they will thrive. Writing out a list of goals and strengths can help identify the right industry for a person with autism to work. Finding the right job is not always easy, and it can take some time until people with autism find a job they love. Volunteering is a great way to stay busy and active in the community while people with autism are looking for a job. It is also a great opportunity to build skills and experience in the workplace. Job interviews can be a daunting experience, especially for people with autism. When applying for a job, people with autism can struggle to communicate one-on-one in an interview setting – but that doesn’t mean they don’t have the skills or qualifications for the role. Role-playing and practice interviews. Going over potential questions and drafting responses can help people with autism feel comfortable and confident going into a job interview. For people with autism, it is important to practice interviews in a situation that is as close as possible to the real interview setting, practising tone of voice, eye contact and facial expressions. Research the job description and organisation. Being prepared and having a solid understanding of the role and what it entails helps people with autism prepare for a job interview. Dress for success.Having a clean and professional outfit can help people with autism feel prepared and confident to enter a job interview. Arrive early and prepared. It can help people with autism to have a plan for how they will arrive at their job interview. Are they taking public transport or will a friend or family member drop them off? Having a solid plan can remove any anxiety experienced by people with autism prior to the job interview. Businesses are increasingly changing their interview practices to ensure people with autism are enabled to demonstrate their skills and capabilities in a comfortable setting. EPIC regularly works with businesses to adjust the interview process to best play to the strengths of people with autism. Charlotte has become a valued member of the team at First National Real Estate. When it comes to finding a job, it’s not about changing a person with autism to fit a job. It’s about placing them in an environment where they can thrive. What we do at EPIC is work closely with people with autism and their prospective employer. We create an open dialogue with the employer about how they can ensure a person with autism feels supported in their role. Once people with autism have a job, we support them on-the-job for as long as they need us – that could be months, years or longer. People with autism may need some reasonable adjustments made in the workplace to ensure they are set up for success in their role. This could be as simple as changing the lights in a workplace or having a ‘recharge room’ where people with autism can have some peace and quiet. There are a number of Government grants and programs to help make reasonable adjustments in the workplace for people with autism. It is important for people with autism to feel supported in their professional and personal lives. Having a great support network is invaluable for people with autism. Support groups offer a safe and friendly space to help create a sense of community and lessen feelings of isolation that people with autism may experience. Some support groups may offer training sessions, social skills classes and support for people with autism. If you are a person with autism and would like to build your support network, EPIC can help. 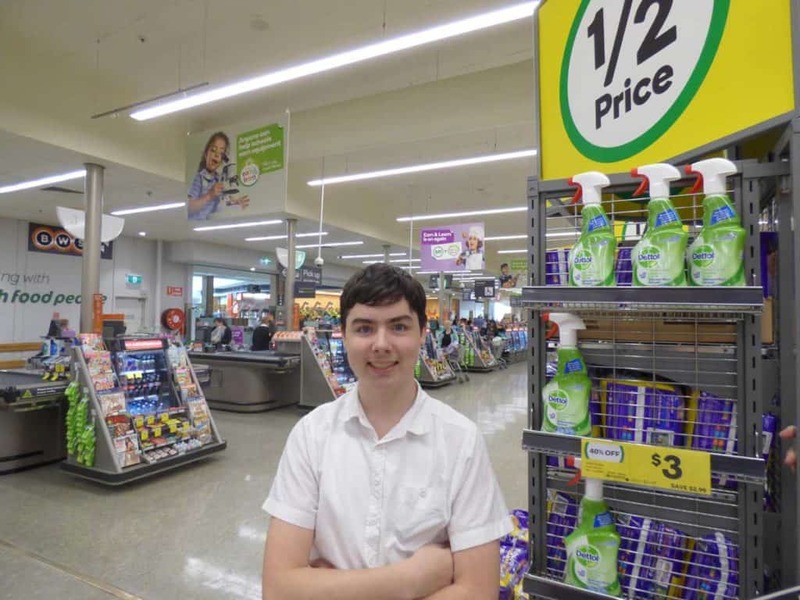 Lachlan has been undertaking a traineeship with Woolworths. We help people with autism find and keep a job they love. We support them throughout their employment journey until our assistance is no longer needed. By supporting people with autism on their employment journey, we not only help them find jobs, we help them keep jobs. Almost 1 in 5 of our job seekers are people with autism. More than half of people with autism we place into employment are still in their job after two years. Regardless of how people with autism access our services, we support them to build work skills and life skills they need to find and keep a job. We work alongside people with autism to discover their interests, strengths and talents. 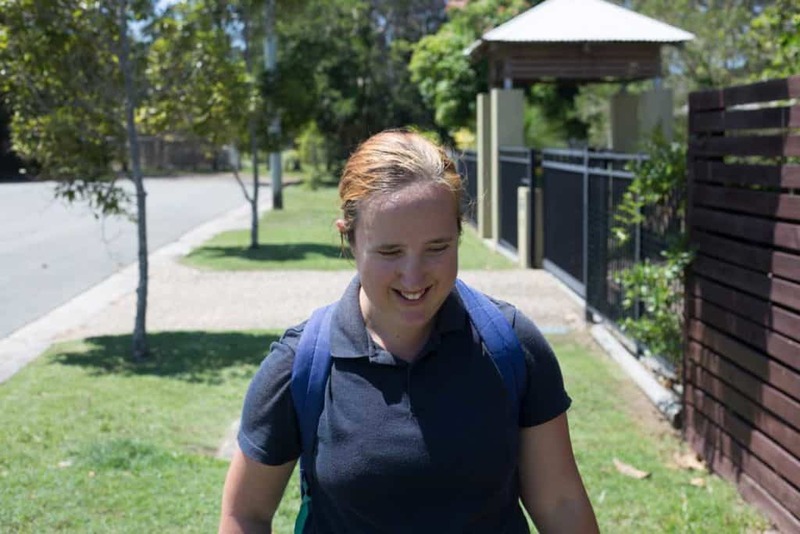 We also identify any skills gaps and offer nationally recognised training to people with autism through our Registered Training Organisation (RTO) EPIC Education Assist, or through other RTOs if needed. We know what it takes to help a person with autism find a job they love. If you would like to find out more about our services, contact us today. Tattooed Sailor are well aware of the talents people with autism can bring to the workforce.